More of the same. 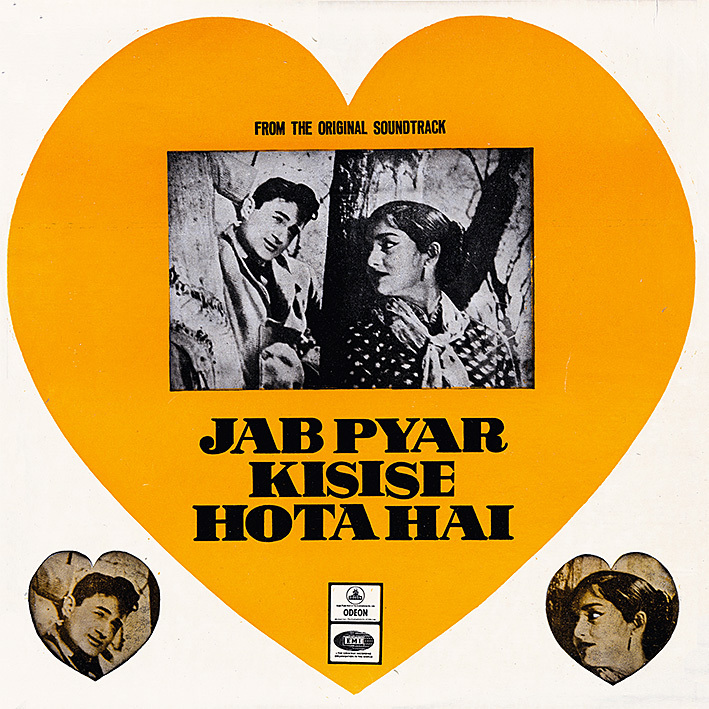 And much like the previous post, 'Jab Pyar Kisise Hota Hai' is a charmer. Bridging the old world nostalgia of the 1950s and earlier with the modern rock and jazz infused sounds of the new decade, Shankar Jaikishan's score contains infectious melodies, hooks and beats from start to finish. It's difficult to highlight any particular tracks on this one; 'Teri Zulfonse Judai To' and 'Uff Umma' are current favourites, along with the percussive 'Tum Jaise Bigade Babu', sadly missing the film clip's groovy East vs. West dance-off. And the 'Title Music', essentially an instrumental version of the album's title track, is very hard to resist.